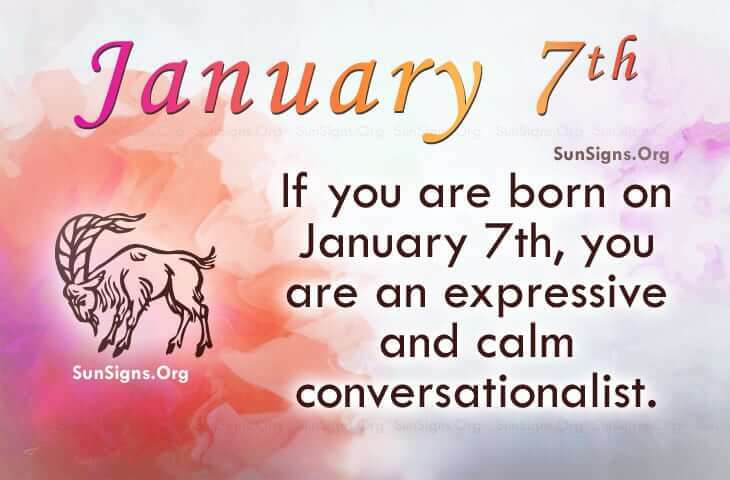 If you share your birthday with famous people born on January 7th, you could be a Capricorn who has tremendous psychic ability. They have great intuition as they are able to connect with the “forces that be”. They are expressive conversationalists who know how to stay calm and sensible when others would panic or become outraged. However, as a negative, famous people born on January 7 suffer from moodiness and impatience. When this happens, all of those positive traits that ground them can go right out of the window. They normally have an active lifestyle. They create an atmosphere that is desirable for others to be in. On the other hand, famous January 7th birthday personalities like being by themselves. This could be a sign that they actually want to be unrestricted. Feeling this way may make it difficult for people to accept them as they are not always understood. Their quiet time is crucial to their growth as a person, their ability to foster friendships and to develop valuable business contacts. Famous individuals are born on January 7th. Capricorns are mystical creatures that use their intuition for guidance. They make good love connections and business deals. Get a list of names of famous January 7th birthdays below.